The award-winning Brooklands Lodge offers 4-star accommodation with free parking and free WiFi. Each of the spacious rooms has a flat-screen TV and work desk. The rooms also feature modern bathrooms and seating areas. 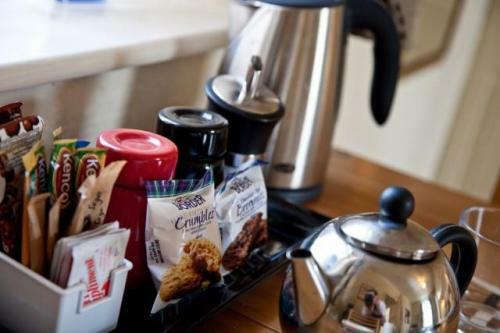 All rooms have fridges and are replenished daily with a healthy option breakfast, which is included in the room rate. A traditional full English breakfast using local ingredients is served daily for an extra cost. Vegetarian options and special diets can be catered for. Located on the A6144 road, Brooklands Lodge is a 10-minute drive from Manchester Airport. Brooklands Metro Station is a 2-minute walk away and Old Trafford Football Stadium is just 4 metro stops away. Junction 6 of the M60 is a 5-minute drive away. Dear GUEST, Thank you for sharing your experience and for mentioning our clean comfortable room . I am delighted you found our breakfast table arrangement. I hope we will have the pleasure of welcoming you back on your next trip. Very nice room, clean, warm, comfortable bed. Nice welcome. Recommended. Lovely guest house, we arrived to a warm welcome. The room was clean and very comfortable. Really liked the breakfast in the room, juice, yoghurts and cereals .....very lovely. Would most definitely recommend. I stayed for one night with work at Brooklands and found the room spacious, clean and very well presented. The lady who met me at the door was very friendly and attentive. I shall be staying here again. What a beautiful building. Room was lovely. Really homely. Everything we needed. Staff amazing. Definately stay again. Thank you GUEST for your wonderful feedback following your recent stay with us. I am thrilled to read that you had a exceptional stay and thank you for your great description of our building , place and friendly staff. I hope we will have the pleasure in welcoming you back very soon again. Lovely welcome from the owner who couldn't do enough for us. Even went up into the attic to fetch a fan for me. Rooms very spacious and clean and everything we could need for our overnight stay. Would definately recommend. Thank you for taking the time to leave us feedback, and highly recommending us it is really appreciated and helps us maintain standards and meet or exceed guests expectations. We\'re pleased you enjoyed your stay with us. Very pleasant accommodation and ideal for a short lesuire or business stopover. Very friendly hosts, great breakfast supply, comfortable beds - felt at home, thank you! Dear GUEST, Thank you for your wonderful review. I am delighted you enjoyed your stay and described us A Hidden Gem. It was a pleasure to have you stay with us and we were able to provide exceptional service from the moment you arrived. On behalf of all our staff we look forward to welcoming you back again. Dear Guest, Thank you for sharing your experience and for mentioning our clean comfortable room. We look forward to welcoming back soon again. Thank you for choosing the Brooklands Lodge and sharing your review. I hope we will have the pleasure in welcoming you back soon again. Sorry about the cooked breakfast. Always very clean and comfortable. Clean, comfy, off road parking and lovely host! Fresh milk in a small fridge in your rooms is a great touch too. We had a lovely stay at brooklands lodge. The room was decorated to a high standard and was very clean and comfortable.The bed was really comfortable too and excellent free breakfast in room.lovely stay.We will definately be back. Welcoming and unobtrusive staff,my room was very well furnished, clean and had everything I needed to hand, would certainly stay here again. I really enjoyed my stay. A lovely quiet,clean room with a nice breakfast selection provided in my room. Leyla and Raj were very welcoming. Thank you. 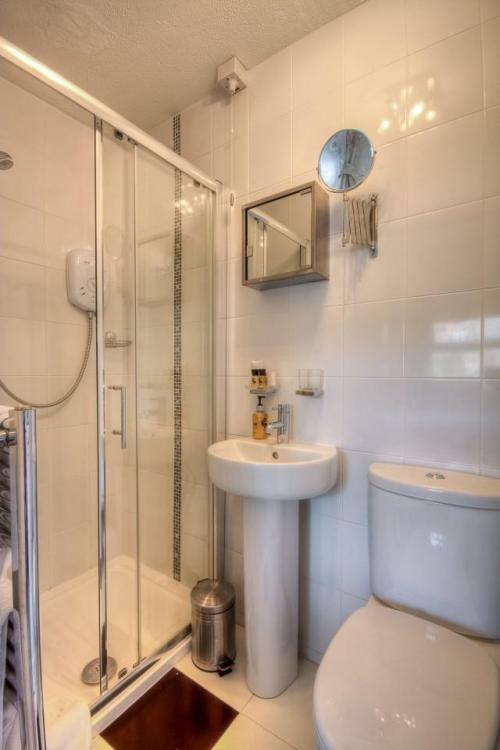 Excellent value for money, immaculate room and very spacious. Very helpful lady met me on my arrival. Plenty of parking spaces. Would absolutely recommend. Clean and tidy. Breakfast in bedroom was adequte. Helpful host. Near to the metro station. Really nice place lovely big comfortable room, owners couldn't be more helpful. Will definitely come back! We stayed hear on the 8th Sept , the room was perfect , clean & well presented and well worth the price. We recieved a warm welcome and will be retuning. Very comfortable stay, added bonus of fridge with breakfast option. Friendly hosts. Having stayed here previously as a couple I was interested to see how it performed under new management. Faultless. I stayed in the apartment which was extremely convenient for me and great value for money. Would definitely rebook and recommend. Look forward to returning. Bright bedroom and good facilities. I enjoyed a 2 night stay at Brooklands Lodge whilst on a work trip. My room was quiet, well decorated with a comfortable bed, free WiFi, TV and small breakfast table. There was an in room mini fridge with milk, OJ, water, yogurt and some breakfast items such as a cereal selection, porridge provided in the room (included in the price) which was an added bonus.It is well located, a couple of minutes walk from Brooklands tram station. All I needed for a comfortable stay. Thanks Brooklands Lodge. Had a lovely stay at the lodge. Clean and comfy room. Meeting a late flight can be horrid. Tiredness, delays, airport roadworks, no parking and bad attitude and the final blow, an hour drive home becomes 3 hours because all the motorways are closed for repair! Thank god for this affordable haven of tranquility. Nice, friendly family people, big smiles and warm welcome, immaculate spacious accommodation, all the necessary facilities. In a leafy suburb, not an airport carpark. Thank you, very much! The rooms were very clean and had very comfy beds and the proprietor was always very helpful. Attended to every request. The breakfast was well organised and was more than ample. Great to have a fridge. Good parking facilities. Quiet location but easy to access Metro link, Sale shops and walk along the beautiful canal. We'll be back. I had a lovely stay at Brooklands Lodge while attending a training program nearby. My room was quiet, clean and tastefully decorated; the bed was perfect and the extra touches in the room made my stay blissfully easy. The hosts were kind, friendly, accomodating and helpful. Access into and out of the city of Manchester was accessible by tram just a few minutes up the road. We liked the off street car parking and the 2 minute walk to the nearest Metrolink station. There were a number of good eating venues within walking distance of the accommodation. The owners looked after us very well, thank you. We had a very pleasant stay at Brooklands Lodge and the hosts were very obliging and helpful. Can fully recommend this superb accommodation! Lovely family run hotel, comfortable room with everything needed. Very friendly hosts, make you feel like at home. Thank you! 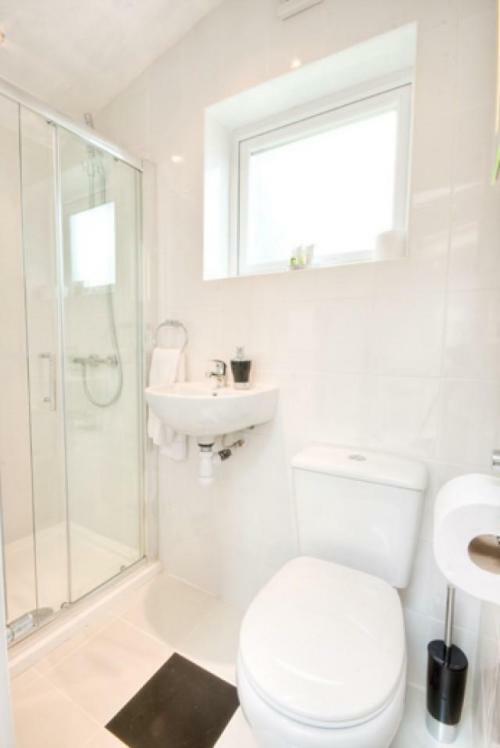 Spacious, nicely decorated en-suite single room with comfy chair and small desk. Nice quiet corner of Sale very close to Brooklands metro. Hosts were very welcoming and friendly and "help yourself" in-room breakfast was perfect for an early departure. Angela and Steve are warm and so friendly, they really made it a pleasure to stay! They had plenty of good suggestions for places to eat and for how to get around. Felt very welcome. The room was spacious and comfortable and there were plenty of options in the continental breakfast selection in the minifridge. Really charming building and nice to have that personal touch! Easy to find the lodge, good sign outside. Comfortable room and beds. Well cooked breakfast and friendly and welcoming hosts. Thank you. A friendly welcome always there. Comfortable accommodation of a high standard. Convenient for the tram and visiting our family. I don't want to stay anywhere else and highly recommend to others. First rate accommodation and such friendly people. Have used Brooklands Lodge for years now. Love it. I stayed for 2 nights and it is one of the nicest places I've ever stayed in. My room was a standard double, impeccable decor and very comfortable. I appreciated the easy chairs in the room which you don't find in most places, and in particular the mini-fridge which kept my bottled water nice and cold as I prefer. Brilliant location (shops and metrolink virtually at the doorstep) but most of all it was nice and quiet at night so I got some good sleep time. I would recommend Brooklands Lodge probably as the first place you should check for availability if you stay in Brooklands or Sale and I look forward to re-visiting sometime soon. A lot of very expensive hotels could learn useful advice for their premises by staying at Brooklands Lodge. Always a pleasure to be a guest! What a lovely find! Perfect for what i needed. Very comfortable and a great idea having a fridge with continental breakfast. See you again soon. Steve and Angela always offer a warm welcome and staying at the Brooklands Lodge offers a real home from home experience. The room was quiet, clean and spacious, the bed comfortable and the free breakfast provided and table and chairs to eat at is great. But Steve's cooked breakfast is even better and good value too. Just 20 minutes on the tram takes you to the City centre but Sale also has good restaurants and plenty to do. Would definitely recommend. Excellent b&b,friendly hosts,great value, very clean and comfortable, convenient Metro for travel into Manchester especially the Old Trafford cricket ground.Recommended. Brooklands Lodge was easy to find and Steve and Angela were very welcoming. The room was very comfortable with everything needed to make a decent cup of tea and we liked the fact that everything for a simple breakfast was in the room. Had a very warm welcome at the Brooklands Lodge on arrival. The room was clean and well decorated, with a well appointed en-suit bathroom. Location wise, the Brooklands is ideal for access from the motorway and is 100yrds from a direct metro line into Manchester (twenty minute ride). Plenty of places to eat can be found in Sale, which is one stop on the metro or a twenty minute walk. 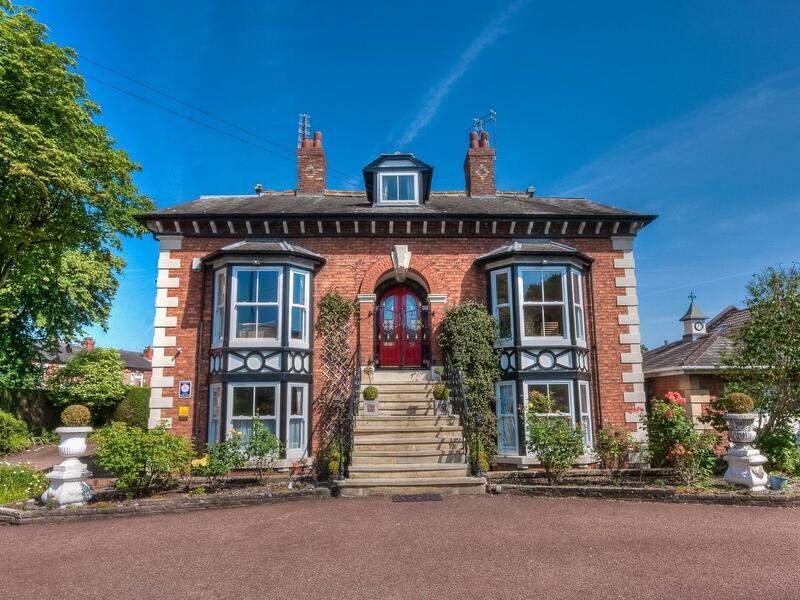 All in all, a very nice B&B and an ideal place to stay if you are looking to explore Manchester and surrounding area. Thank you for excellent accomodation, personal service, great english breakfast and warm hospitality! Also impressed by the hosts football and Manchester United expertise. A pleasant classic english experience, far better than hotels you find everywhere. Friendly welcome to a quiet and comfortable bed and breakfast. Breakfast made available in room is good facility as it takes away any time restrictions. Good location with plenty of options for eating close by plus option of been able to bring take-away into b&b. Steve and Angela are both friendly, helpful, easy going and accommodating. Made the stay very pleasant. Wonderful, large, quiet room with excellent comfortable bed. Breakfast is not to be missed. The Brooklands Full English is about as good as cooked English breakfasts get. Very good location - close to pubs, metro etc. We were made very welcome at this well run, spotless B&B. A welcome and thoughtful touch was having a mini fridge in our room refreshed daily with milk, fruit juice, yoghurt and cereals, and a fully laid table so that guests can if they wish help themselves to breakfast at whatever time is convenient (cooked breakfast also available in dining room). Would recommend. Very friendly, warm, clean, lovely, charming house where they make you feel right at home immediately. Would definitely return and definitely reccommend! The Brooklands Lodge was comfortable, spotlessly clean and extremely convenient for getting in and out of Manchester City Centre via the Metro. I was warmly welcomed and given lots of helpful information about the surrounding area. Having a light breakfast available in the room is a great option, particularly for those travelling for business. I would definitely stay here again when visiting Manchester-such a wonderful contrast to much less comfortable, overpriced city centre accommodation! A very nice stay in an excellent ensuite room and friendly reception. Great place to stay. Angela and Steve friendly, welcoming hosts. Close to Metro so City access a breeze. I arrived late in the evening after a long drive from Bristol. I was met at the gate and escorted to my room. It was evident straight away that customer service was top-notch. The room was clean and tidy and more than sufficient for what I needed (2 nights close to our Manchester office). I walked to a great restaurant that was close and recommended (Table 10) and had a lovely meal and a good chat to the chef (and owner). All-in-all it was a great experience and I will definitely be staying again. Great few nights. Really pleasant place to stay. Very spacious and clean rooms. Would definitely recommend a stay. We loved our weekend at Brooklands Lodge. The room was perfect and the beds so comfortable. The set-up for breakfast was very good. Steve and Angela were the perfect hosts and I would go back to stay without hesitation and heartily recommend it to anyone needing to stay in the area. What a wonderful stay - the staff were delightful and went out of their way to be helpful. If you need advice on where to go out you only need to ask. The rooms were clean and comfortable with nice touches like biscuits and chocolates. If you like a cooked breakfast in the morning you have plenty of options - including Angela's special recipe "the breakfast stack". I would recommend this accommodation. We had a lovely time at Brooklands, the hosts were very very friendly and full of great advice for the local area. We would recommend this B&B to anyone and will certainly be back. It is also very well connected to the City center via tram, plus there are great restaurants within a 5-15min walk... A perfect setting for our first wedding anniversary weekend, oh and the room was lovely!!! Absolutely fabulous - if you are reading this then please may I suggest you don't look any further, and make your booking. The proprietors are first class and this is a marvellous place to stay , home from home. Clean, comfortable, warm and welcoming. Couldn't recommend it more..
Glad you enjoyed your stay, you will have to stay longer next time, hope you got your sunday lunch! The hospitality was brilliant. We will certainly visit again. Beautiful comfortable rooms and excellent breakfasts. Despite a small amount of confusion with the on-line booking, Steve and Angela made us feel very welcome. Nice room, lovely building, great location for travelling into the city centre, and a great quality full English breakfast! Highly recommended! Perfect place to stay for me, with relatives and friends in Sale and other places in South Manchester. Walked to the Metrolink nearby to Piccadilly. Room was clean with shower, sink and toilet, well stocked for tea/coffee and breakfast items with mini-fridge. Free wi-fi worked well. I came across Brooklands Lodge whilst trawling the internet looking for somewhere suitable to stay - What a find. I echo all the positive comments made by others who were lucky enough to find this little gem. Angela & Steve are very friendly and make informative suggestions to make your stay in Manchester as good as possible. We went to Manchester to see friends and will do so again but I won't bother trawling the internet for accomodation - straight back to Brooklands Lodge for us. Perfect. Thank you for your very kind review, we will look forward to your next visit, Steve has now renewed his season ticket, fingers crossed for better results.